I was lucky enough to receive a pair of Avarca sandals from Palmairas earlier in the year (blogged here) - a style of sandal I'd never worn before but which I'd admired on others. Because I loved these black studded ones so much, I decided to save up and buy myself a sandy tan leather pair...a colour I'd admired on Emma over at Life at the Littlewood when we met recently. Zoom forward a few weeks and I've worn them loads already. They really are the most perfect 'match everything' sandy tan colour. 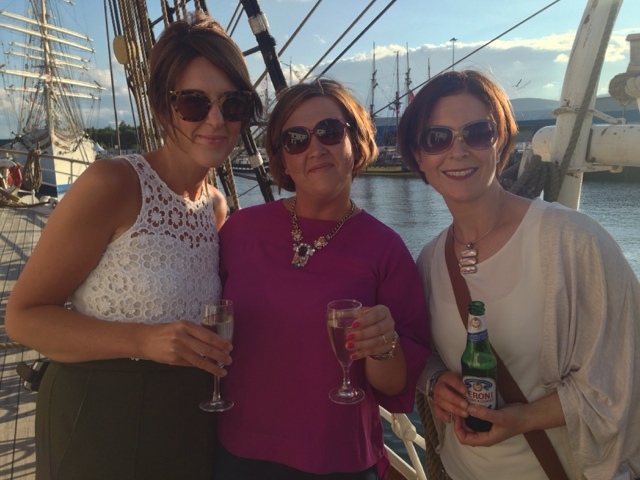 So they were the obvious choice for my invite aboard the Sorlandet Tall Ship last Thursday evening, to celebrate the launch of the Tall Ships Festival in Belfast. The dress code was open with flat shoes being the only stipulation, so I teamed them with my khaki jeggings, a cream top (surprise, surprise) and a light jersey kimono...just in case of a chilly breeze. 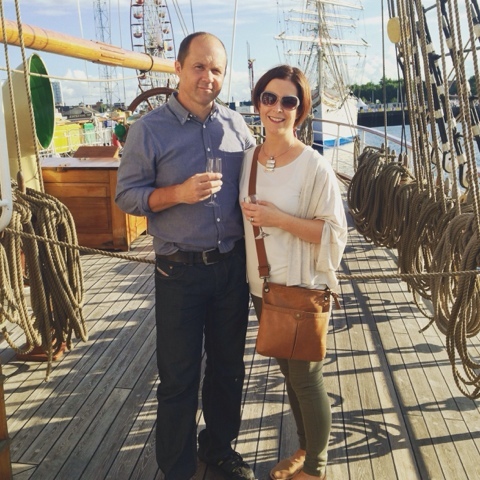 I have the team behind Lidl NI and Smarts Communicate to thank for the invitation - it really was an honour to get a chance to spend time aboard one of these historic ships. The Sorlandet was built in 1927 and has the honour of being the oldest full-rigged ship in the world still in operation. 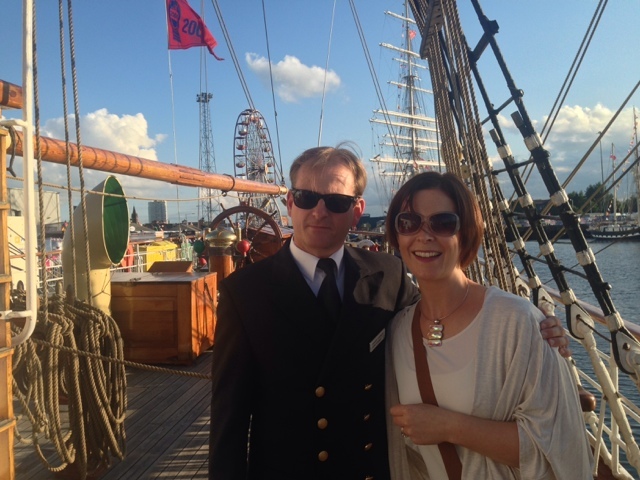 We even got to meet the Chief Steward, who told us about some of the scary storms the ship has braved. Made me realise I'm not cut out for seafaring - eek! 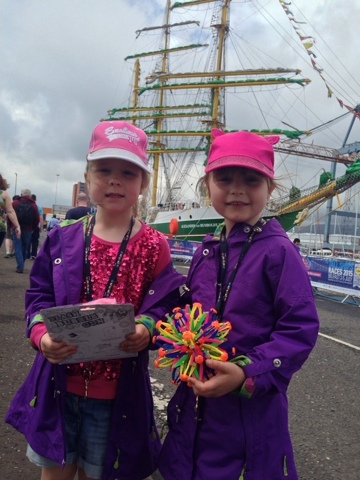 Apparently Belfast was the busiest of all the venues the ships have visited - we are officially the Tall Ship's biggest fans over here! Check out this amazing video of the festival....watching this makes me remember why I love living here..
'Husband - model's own' - ha - like it! 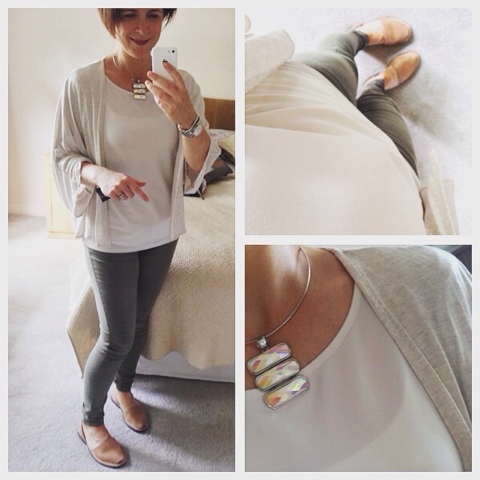 Love the M&S plain kimono but all sold out in oatmeal, navy and white! But the shocking pink was down to £5 so I'm giving it a try! That's a great oufit; I love the mix of paler colours. Also loved 'husband - models own' ha ha ha!